Situated within yards of the world-famous Rogue River, Evergreen Federal Savings Bank has created a magnificent focal point of their recent renovation. Working with a local designer, the bank created a massive fountain wall containing a working fireplace. The three-tiered waterfall features seven sculpted ceramic Chinook Salmon. 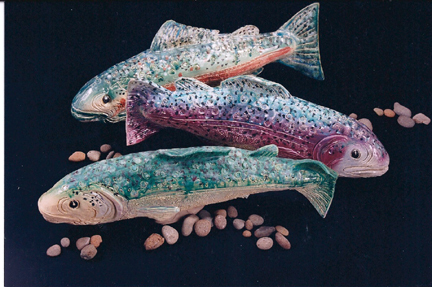 Created by artist, Susan Springer of Illahe Tileworks, each fish sculpture is individually formed with colorful and active three-dimensional features. Permanently mounted through the slate wall, the fish appear to be leaping toward the falling water in active, individual postures. 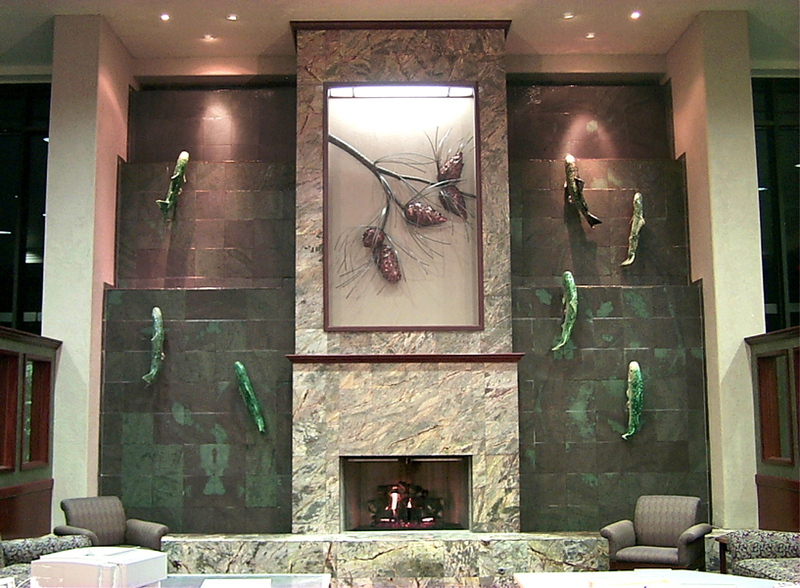 The installation, located in the center of the lobby of Evergreen Federal Savings Bank, was completed in the spring of 2001, and has become a source of pride for patrons and employees of the bank.